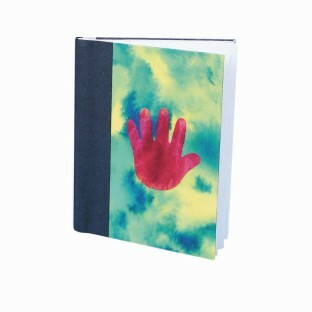 Filter paper and pre-bound books make it easy to create journals with retro-look tie-dye covers. Watercolor paint makes the colors pop! A super teen project. 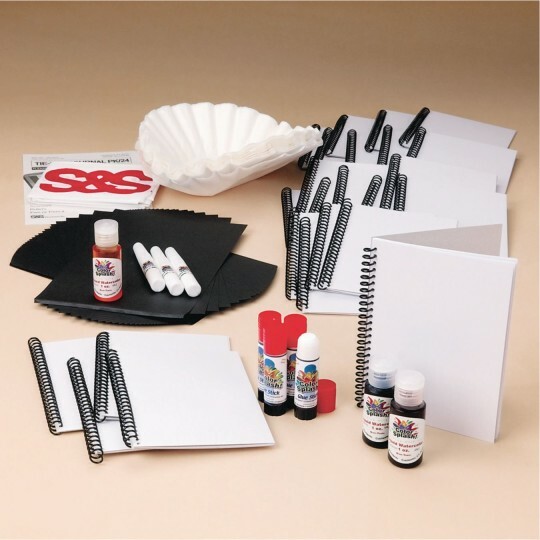 Includes filter paper, non-toxic glue and Color Splash!® Liquid Watercolor in assorted colors, construction paper, journals and instructions. Size: 5" x 6". We used this product with our seniors at a nursing home. The project came out better than we expected. Very colorful and beautiful. This was a great craft for my 5/6th graders at VBS. We had them do the tie-dye on the coffee filter first and then put them aside to dry over night. The next day we gave them the book and the rest of the stuff to finish. They really enjoyed putting them together and making their own book. I thought the notebooks would be bigger but some used them as an autograph book for other campers and teachers. Very cute! Great project. A lot of fun. Great VBS activity for teens.